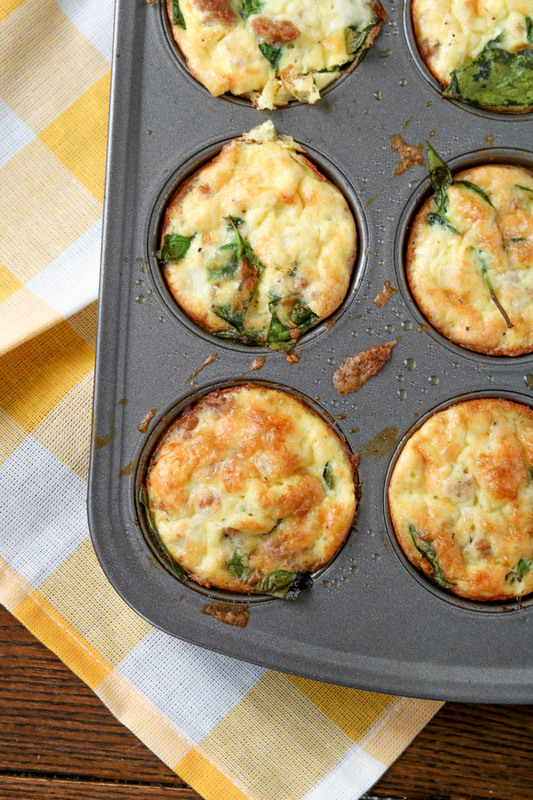 You’ll have a protein-packed breakfast with these spinach sausage egg muffins. They’re super easy to make, gluten-free, and you’ll have an easy, grab-and-go breakfast for the week. With just a handful of ingredients, you can make as many as you need during your weekly meal prep. 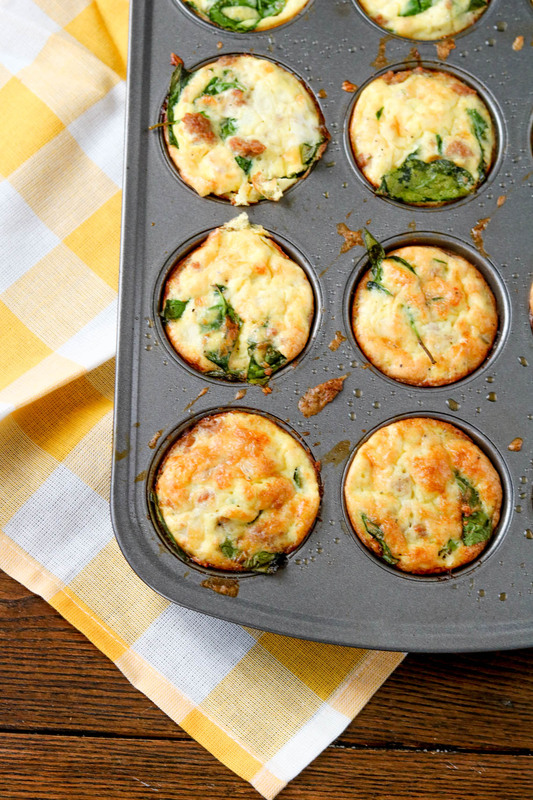 Another weekly win in the breakfast department with these spinach sausage egg muffins. Make them ahead for the week, store in the refrigerator and just reheat and serve! 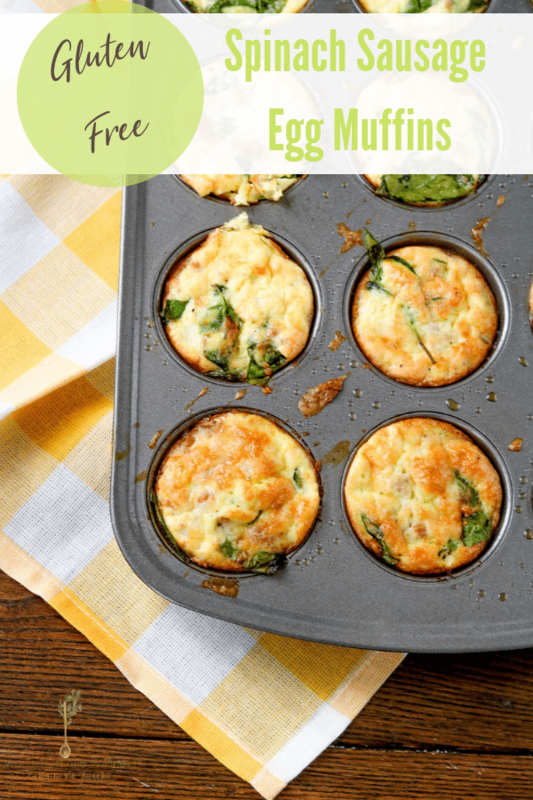 They make the perfect on-the-go breakfast option that the whole family will enjoy. Any recipe that lets me sneak in extra veggies for my picky eating teenagers is a win-win in my book. 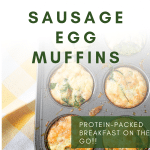 These spinach sausage egg muffins will have you starting your day off with a healthy dose of protein and veggies as you head out the door. These will last about a week in the refrigerator, however, I have not tried freezing them, but I will definitely try that and update here! 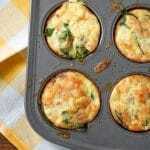 Grease a 12 cup muffin tin with coconut oil. In a large mixing bowl, add the eggs, salt, and pepper and whisk to combine. Add in the remaining ingredients and whisk lightly again to combine. Pour the egg mixture into the muffin tins, filling to the top. 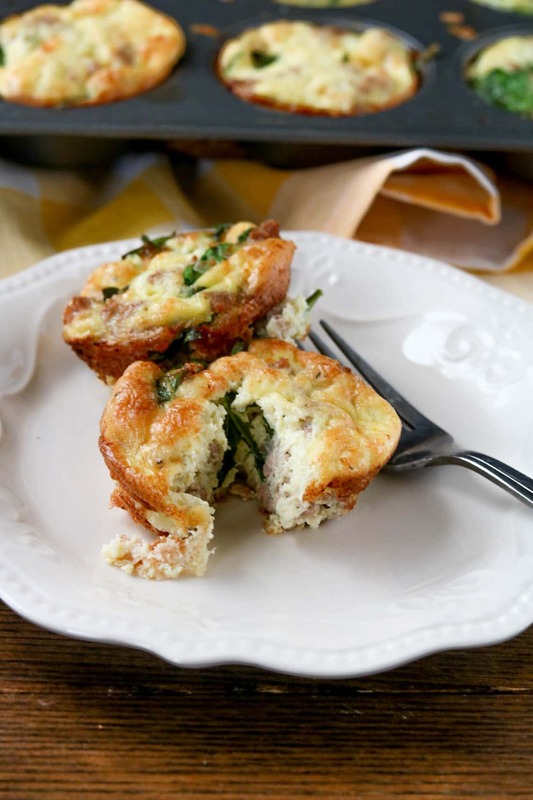 Here are a few more breakfast ideas! Do I need to cook the sausage first or just crumble it into the egg mixture? Hi Cathie, yes cook the sausage first and then add to the mixture. I left that step off, my apologies. Going back to fix that!